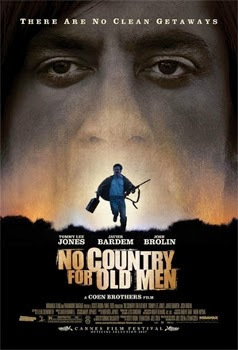 No Country For Old Men was released on November 21st, 2007. Filming locations include Albuquerque and Las Vegas, NM. This movie is definitely in my top 5 favs. You have obviously put countless hours of work into this site. I hate I have just now discovered it! Some of these movies make me feel so old since I grew up in the late 70's to the late 80's!😆Thank you for sharing all your hard work! Thank you Elizabeth! No Country For Old Men is one of my favorites as well. It's amazing how lighting can make a place lok straight out of a certain time period. Also, that town has a lot of 50's to 70's looking vintage signs. You're right Andrew, Las Vegas, Nv. is definitely a throw back town. Red Dawn (1984) was also filmed there. Thanks for your effort, Paul! Today I arrived in United States to go to the filming locations of NO COUNTRY FOR OLD MEN. Your information might be great help. I want to rent a car. So old-fashioned, antique one (like Anton's). Can you give me the advice for that? Great work here! I love this film, and had always been fascinated with the scenery and locations. I now live in New Mexico and your blog has inspired me to go and check these places out. Fantastic post! Thank you, Raquel Carvlin! Feel free to let me know how your NCFOM location visits went. Heck we were in Las Vegas this winter. Now we have to make a return trip thanks. The scene toward the end where Anton Chigurh has the car accident and breaks his arm and is helped by the two kids on their bikes was filmed at the intersection of Baca and 6th in Las Vegas, NM. Great info, thanks Justin. Next time I'm in Las Vegas, Nm. I'll definitely drop by there. Sadly, the Desert Sands Motel has been demolished and is no longer there. That's a shame. Although it was a pretty bad spot it was still a somewhat historic structure.